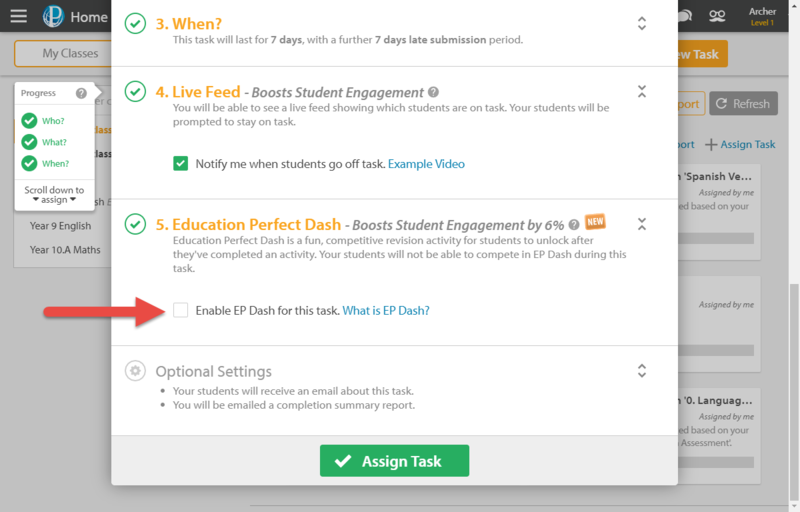 When students are working on a task in-class or for homework, you can control their access to Education Perfect Dash. Set up a homework task as normal. 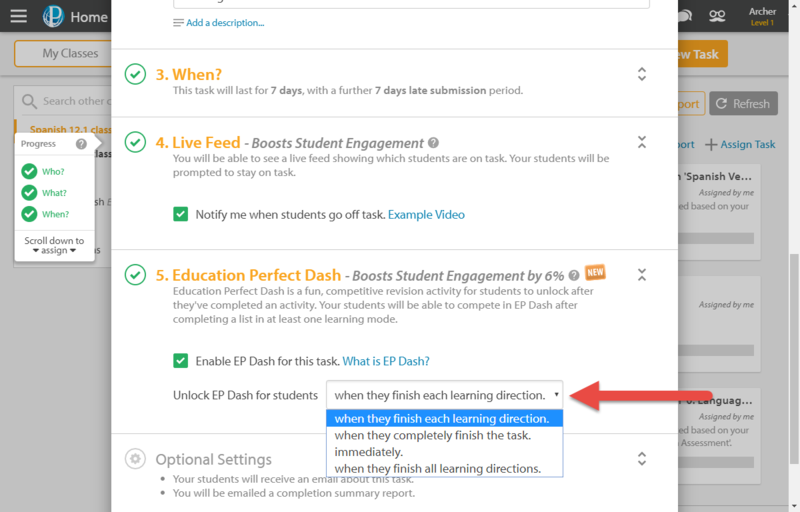 When you get to the settings for Education Perfect Dash, you can completely disable Dash by deselecting Enable EP Dash for this task. If you keep Dash enabled, you will have different choices based on which type of list you are assigning. When they finish each smart lesson (Default): Once students have finished all non-optional sections of a single lesson, Dash will unlock for them. When they completely finish the task: Only unlock Dash once all selected lessons have been completed. This is the same as When they finish each smart lesson if there is only one lesson in the task. Immediately: allow students to Dash without having completed the lesson first. Dash is available for Education Perfect when you select translation lists containing 10 or more words. When they finish all learning directions: only enable Dash once the current list has been completed in all learning directions. If there is only one list in the task, this is the same as When they completely finish the task. Unlocking Dash Immediately can be good as an end-of-period activity for students, however note that students will normally achieve the best times if they are already familiar with the content.